You’ve probably already met our dog, Rooster, either here on the blog or Instagram. He soaks up every bit of attention he can get and loves trying new products. He and I were excited to get to try a new product and be a part of the Adams™ Flea & Tick Collar for Dogs & Puppies program. Living on a farm and our dog loving the outdoors makes him vulnerable to pesky pests. It’s very important to keep all of our pets safe and use any kind of prevention to guard against pests. The new Adams™ Flea and Tick Collar for Dogs & Puppies is an easy-to-use and affordable way to protect pets from fleas, ticks and mosquitoes. It’s easy to find and use new Adams™ Flea and Tick Collar for Dogs & Puppies. 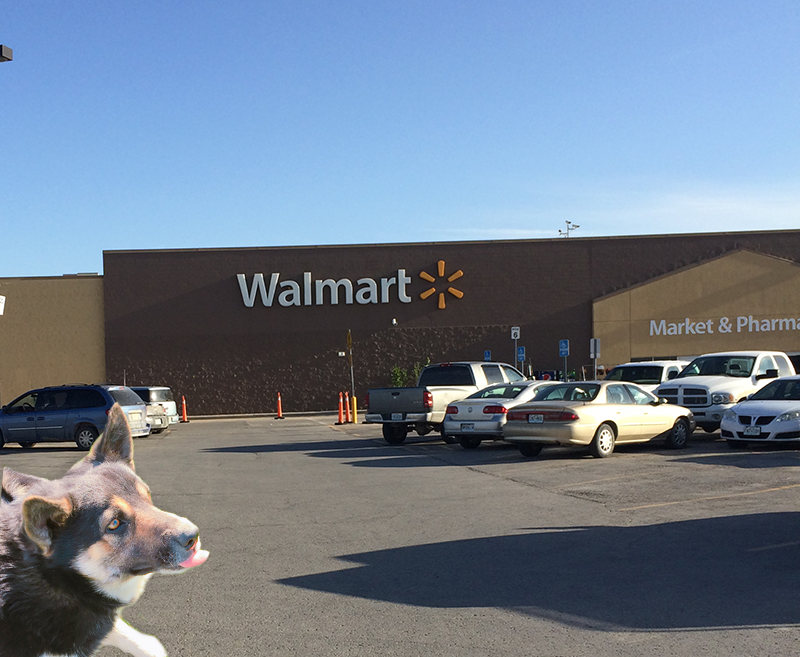 Look for the new red circle tin at your local WalMart or on WalMart.com and save a trip and the cost of a vet visit. By being proactive as dog owners we can prevent outbreaks and protect the health of our pets and our family. I had a terrible outbreak of fleas once with my cats. It is extremely costly and time consuming to get rid of an infestation. Don’t wait until your pets become infested! Take the necessary steps now to prevent those unwanted outbreaks! Adams™ Flea & Tick Collar for Dogs & Puppies can help you conveniently prevent outbreaks because it’s easy to get and easy to use. I love that the Adams™ Flea and Tick Collar for Dogs & Puppies comes in a 2-collar pack and affordable at a retail price of only $19.99 – $24.99. For a limited-time you can get a money-saving coupon on the Adams™ Flea and Tick Collar for Dogs & Puppies website. It’s so perfect for our doggy because the Adams™ Flea and Tick Collar for Dogs & Puppies is one of the first and few collars that protects your pet from fleas, ticks and mosquitoes! 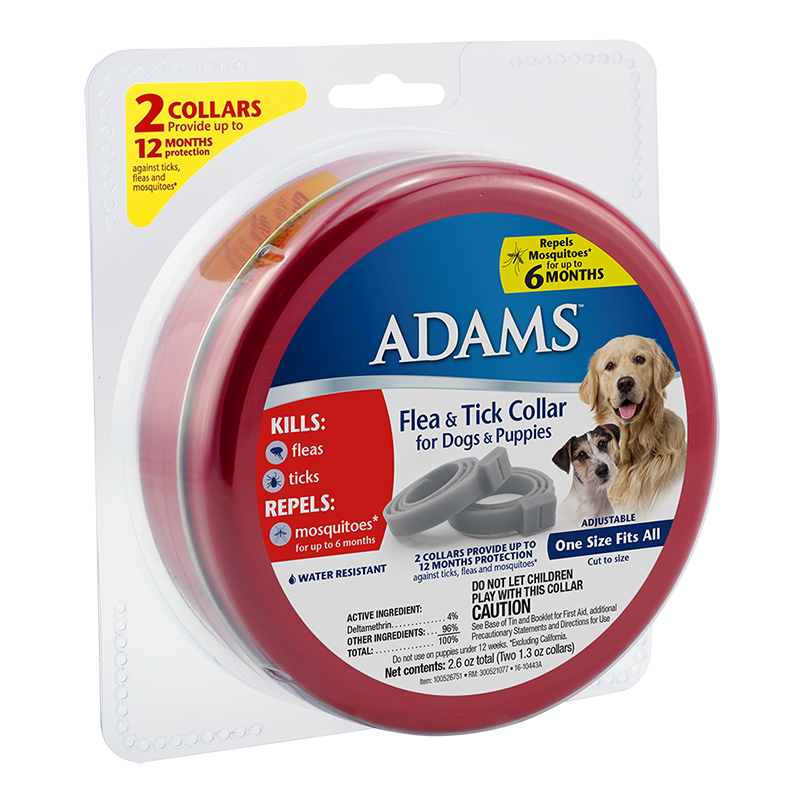 You’ll get pest treatment and prevention in one easy step with the new Adams™ Flea and Tick Collar for Dogs & Puppies. One purchase comes with two adjustable collars so you’ll always have one on hand or available for another pet. I love the full year of protection the two collars provide because monthly topical treatments can get tiresome. The collar is so easy to put on your pet but if you have a hyper doggy like I do you might want to get some assistance from a friend or family member. 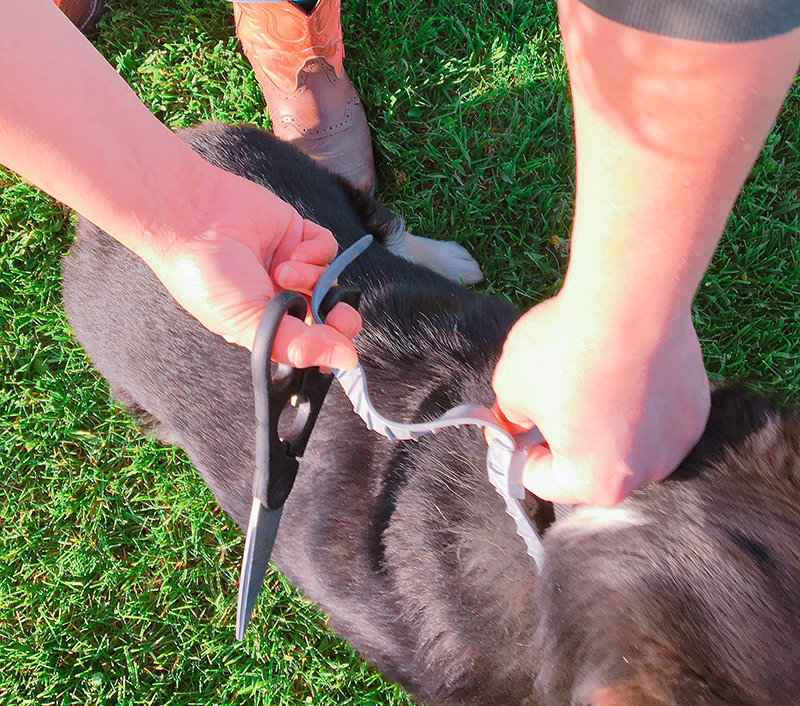 Simply place the collar around your dog’s neck, buckle and adjust for proper fit. Cut off approximately 2 inches from the buckle and dispose of excess length by wrapping in newspaper and placing in trash. Make sure the collar isn’t too tight around your dog’s neck. It must be worn loosely so that two fingers may be placed between the collar and your dog’s neck. Visit http://bricks.coupons.com/Bstart.asp?o=131587&c=HU&p=7v1oBWTX for more detail and a money-saving coupon (available for a limited time). I received Adams™ Flea & Tick Collar for Dogs & Puppies and compensation from Adams™ as part of a sponsored program. All opinions are my own.